It’s still debatable whether Vietnam’s armed forces have more enlisted personnel than Indonesia’s TNI. 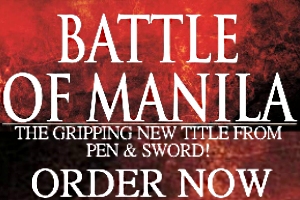 But for decades the largest Communist state in Southeast Asia carefully built a vast domestic military-industrial sector whose output might put even Singapore’s arms production to shame. 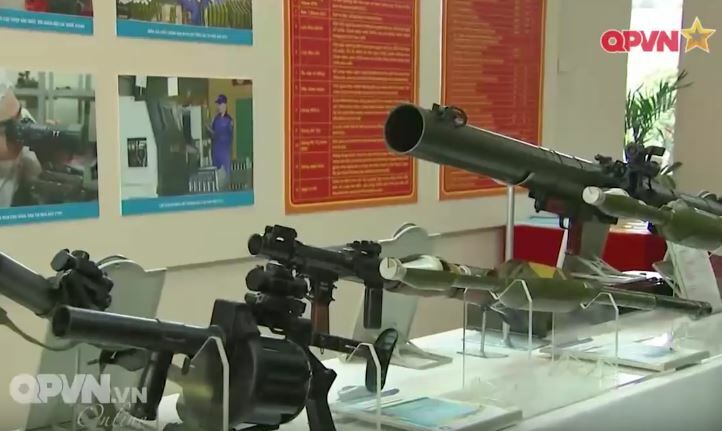 Thanks to a very zealous state-owned TV channel, the products coming out of factories responsible for equipping the People’s Army can now be scrutinized. Simply put, the commitment and dedication to self-sufficiency shown by Vietnam’s military industries is astounding. The four decades of continuous war that shaped Vietnam’s emergence as a unified country left it awash in Soviet bloc weapons from hand grenades to howitzers. It turns out this preference is still maintained and a collection of small state-owned enterprises are tasked with either refurbishing or copying small arms supplied by the former USSR. Although an Israeli gun maker helped establish a production line for Galil ACE rifles a few years ago, large caliber weaponry is produced elsewhere like the 12.7x108mm NSV pictured above. This particular machine gun that’s often mounted on second and third-generation T-series main battle tanks is rare in Southeast Asia; China and North Korea never bothered making copies of it for themselves. But whether small arms like Kalashnikovs are actually made in Vietnam is hard to ascertain. 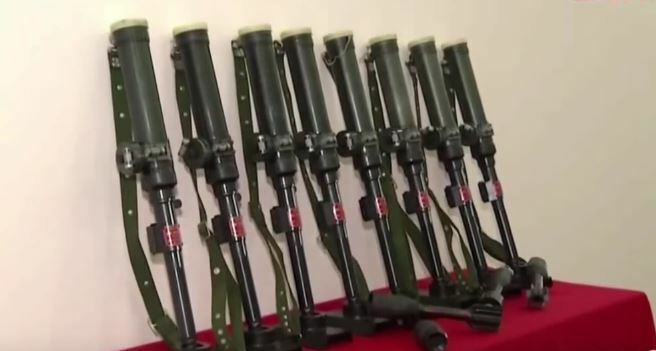 State-owned factories know how to “restore” both Chinese Type 56 and Soviet AKM rifles. But if their barrels and other internal parts are changed in the process this qualifies as full-scale local production. Vietnamese AK’s look like they use reddish-brown bakelite while copies of the AK-103 spotted on display have an all black finish. 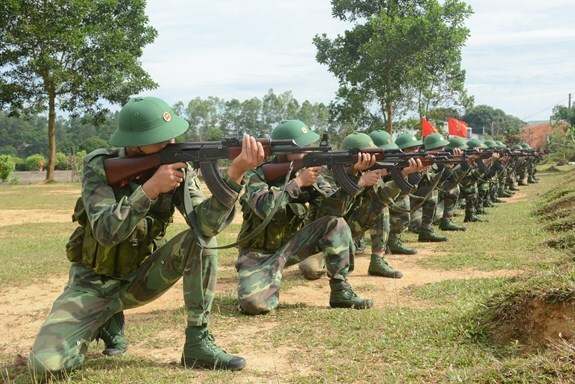 Other standard issue firearms made in Vietnam are the PKMS general purpose machine gun and the Browning Hi Power handgun. A unique infantry weapon only found in Vietnam is an unnamed 50mm mortar that looks like it was copied from a rare World War Two handheld launcher. The “Juteki” was issued to Japanese soldiers who planted it on the ground and set it at an angle. A crude trigger on the tube connected to the base plate sent a muzzle loaded grenade flying towards the enemy. Another quasi-historical relic kept for its effectiveness are M79-VN grenade launchers. These are replicas of the single-shot force multiplier assigned to every US squad and platoon in South Vietnam from 1965 until 1973. The defunct Army of the Republic of Vietnam (ARVN) were fond of it too and unknown quantities are still issued to the People’s Army today. In the true spirit of “People’s War” 40mm underbarrel grenade launchers and revolver type grenade launchers are made for the army as well. In what can only be a doctrine that embraces all functional weapons no matter their age, Vietnam’s military industries build two other recoilless anti-tank weapons and supply fresh 100mm ammunition for the hundreds of Type 59 and T-55 medium tanks kept in storage by the army. 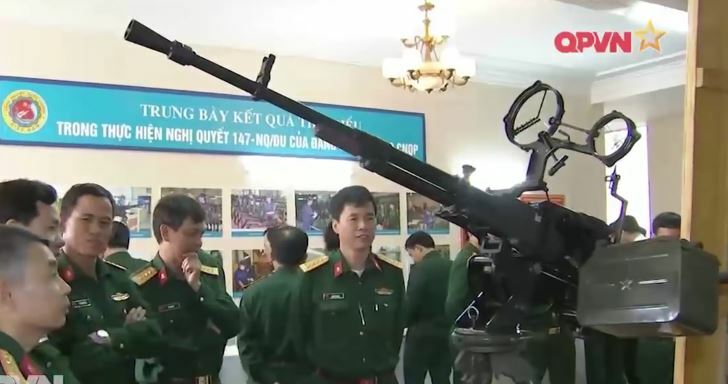 While there aren’t any known barriers keeping Hanoi from ordering anti-tank missiles like the Kornet and perhaps the Spike-MR, Vietnam’s soldiers are still trained to use the RPG-7, the 73mm SPG-9, and the 82mm B-10 as direct fire weapons for ground combat. 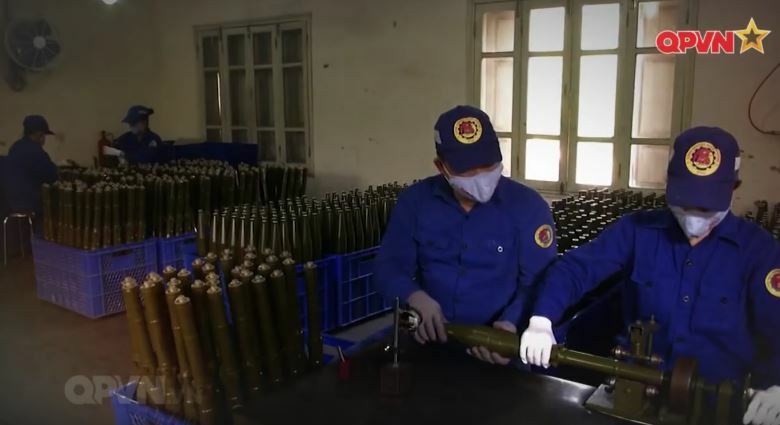 To ensure this overwhelming catalog of weaponry proves their worth should war break out, Vietnam’s military-industries localized ammunition and ordnance production. As far as can be ascertained from official propaganda, 23mm, 37mm and 57mm anti-aircraft rounds are kept in sizable stockpiles. In fact, the army’s aging S60 anti-aircraft artillery had digital fire control systems added to them. If this isn’t impressive, North Korea’s penchant for multitudinous artillery calibers is almost eclipsed by Vietnam’s output of 60mm, 82mm, and 120mm mortar rounds that are made together with 122mm, 130mm, and 152mm howitzer rounds. Does Vietnam have the largest military-industrial sector in ASEAN that nobody has noticed yet? It seems like India has, at least. Newly made PG-7V rockets are collected in trays before their guidance fins are attached.